When I get blue, beyond the soothing realms of jazz or mother Nature or love, I reach for a book of poetry. The rhythmic kick of well-placed words works better for me than pills or booze. So it was that I recently sat in a wintry funk and read W.D. 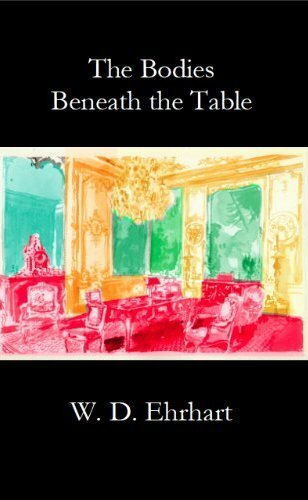 Ehrhart’s latest poetry collection, The Bodies Beneath the Table . I read each poem aloud, awash in thunderstorms of emotions set in motion by the poems and my own life, and got up refreshed. I could particularly relate to many of these poems because Bill Ehrhart has been a friend and literary companion for nearly 40 years, yet many of the tales in this collection were revelations. anymore, but hope that someone does. but what’s she supposed to do with that? Ehrhart’s method of waging poetry against deathly moods is to lance a long-festering wound with a sharp cut of insight, cauterize it with a hot poker of revelation of his own role in the mishap, and bandage it with a bumbling wish to do better next time. The healing is in the telling of these tormenting accounts in public, out loud. Today my child came home from school in tears. as if she can’t fit in no matter what. A decent child, lovely, bright, considerate. or even then except that it was fun. she must have dreaded getting up for school. listening to her cry herself to sleep. Thanks, Jan. Through your influence, I’ve read quite a bit of Ehrhart’s poetry over the years, and I think he’s really good. I particularly felt a connection to the final piece that Keillor read on air. I’ve known many kids over the years who suffered that kind of maltreatment, and I can also remember kids who were pretty badly treated when I was in school. I often joined in that, and I’ve always regretted it. Thanks, Tom, for being a great supporter of my poetry projects over the years and contributing to an early anthology of poems by veterans edited by Ehrhart and me back in the days of haze I referred to. Bill Ehrhart developed a knack early on for pulling on those annoying threads in life until they’re so taut and clearly connected since callow youth to right now that you feel them under your own skin.